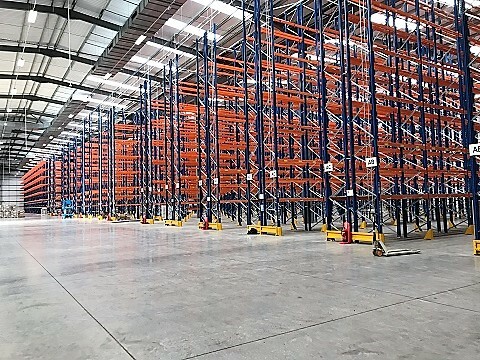 WSSL have been supplying customers in the Derby, Buxton & Matlock area for years with a wide range of bespoke pallet racking solutions and mezzanine flooring solutions. Many businesses may be wondering whether they have outgrown their current premises or if they are getting the best use out of the current configuration. The costs of relocation and extending premises can be prohibitively expensive so re configuring your existing footprint may well be the best and most cost effective solution. Derby Buxton & Matlock are strategically located in the heart of the country with the glorious peak district national park close by. There has always been a strong manufacturing and commercial link, customers needing pallet racking in Derby, pallet live racking in Matlock or Push back pallet racking in Buxton have come to the right place. We at Warehouse Storage Solutions are specialist providers of bespoke pallet racking solutions, each deliver for our customers are tailored to your needs and cost effective. Based in Yorkshire but with a team covering Derby, Matlock & Buxton so we are very responsive to requests for no obligation quotations. We will ensure that you get the most suitable & cost effective pallet racking solution. Reasons to choose Warehouse Storage Solutions as your pallet racking supplier. It is no surprise that most of the new work we get comes via referrals from existing happy & satisfied customers. UK’s most common type of pallet racking it is versatile, strong and flexible. Wide aisles allow easy access. Pallets sit on rails which “push back” as they are loaded up to a maximum depth of 6 pallets. An easy way to double the potential storage capacity. Needs specialist handling equipment with long forks but this a really cost effective solution. A great system where pallets sit on rollers which are slightly inclined. Gravity moves pallets from start to end, without the need for intervention. Ideal if stock rotation is critical, live pallet Racking is the one to choose. Areas of dense storage, narrow aisle racking is ideal. Great if you want to maximise storage in a specific area. As it sounds, fork lifts enter the storage lane making the most out floor space and the available height. we will come and discuss all the options with you. We offer no obligation quotations and are highly responsive.